DRLI has experience in the design, development and fabrication of thin film materials, multilayer optical filters, and sophisticated optical devices. The experience at DRLI includes expertise in applying coating technology to government tactical and strategic systems as well as various areas of scientific and commercial products. 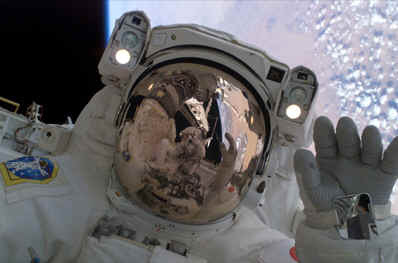 This includes the development and production of the advanced solar control coating applied to the NASA EVA Sun Visor. DRLI is equipped with film processing and characterization equipment capable of specialty and production level multilayer thin film fabrication. Our objective is to supply a cost effective service for the research, development and production of thin film coatings through the application of current film processing. Uniform, multilayered, optically precise coatings for space and terrestrial environments may be applied to flat, cylindrical, spherical and aspherical substrates. 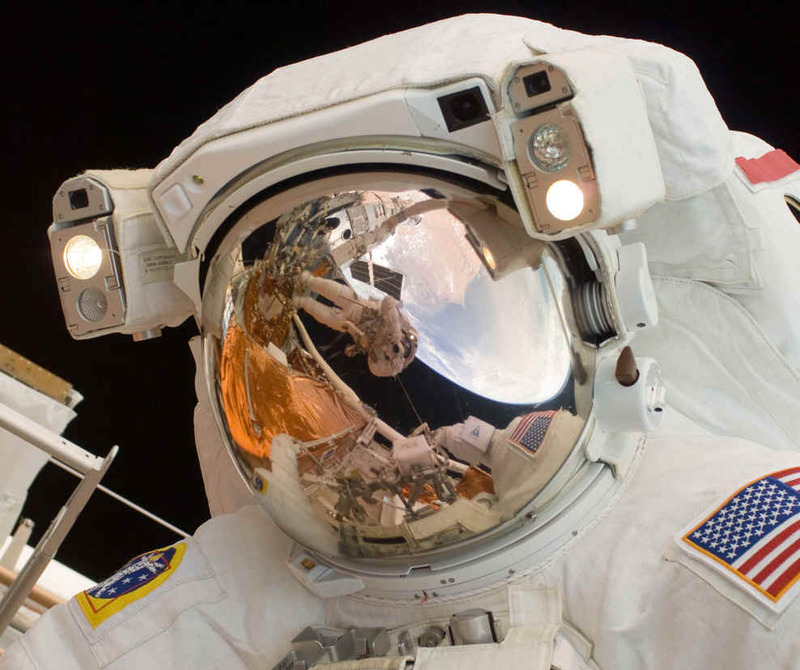 DRLI coated visors have been in use by NASA astronauts for nearly 20 years. All visors are currently deployed, in space, right now! In addition to coating the NASA sun visors, DRLI is now applying an Advanced Thermal Control Coating to the NASA EVA Protective Visor. DRLI continues with NASA and our partners to further development in this and other areas of technology. Our extensive research into materials and deposition techniques has led to the development of films with unique properties. They are currently in use at the National Ignition Facility (NIF) at Lawrence Livermore National Laboratory (LLNL) and are aiding in the search for fusion power..
DRLI was proud to partner with The Department of Veterans Affairs in the Boston Retinal Implant project.